Pretty stoked to add a second Bimmer to the family. Honestly, didn't think that would happen. But I lucked into a sweet CPO find... and found a bit of a unicorn. I'd been looking for an AWD 4-door hatch to replace the trusty, but now aging P38 Range Rover 4.6SE as the main ride/ski machine (and something with double the MPG than that beast). I'd stashed some bonus-award cash away back in 1999 in this fruit company (AAPL), and given some recent ascents I decided it was time to redeem $500 worth. 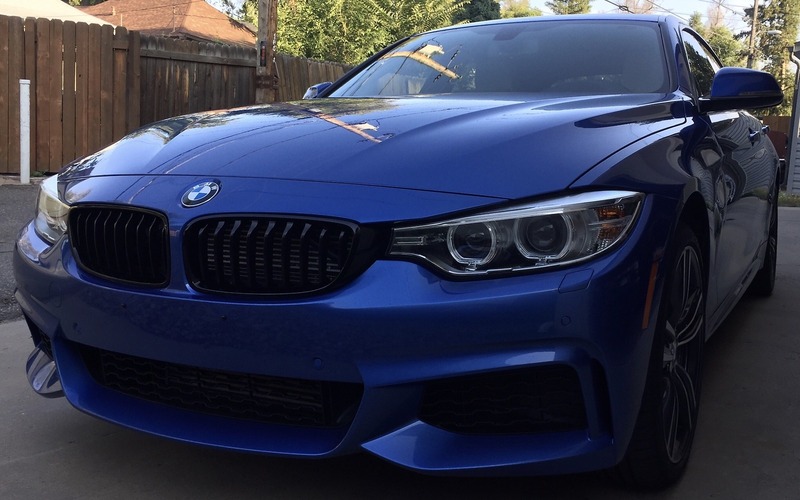 It's an estorilblau II metallic 2016 435 iX, with all the M options... It's simply amazing what 40 years of technology evolution can do, compared to my '76 machine (& how that fruit company has grown over the past 19 years). I'm in love with the color, the 'mind-melding' 8-speed AUTOMATIC, and the all-wheel traction - and the M adaptive suspension/M Brakes combo on these 19" Goodyear F1 gumballs is damned exhilarating. (0-60 in 4.8 makes me happy too). 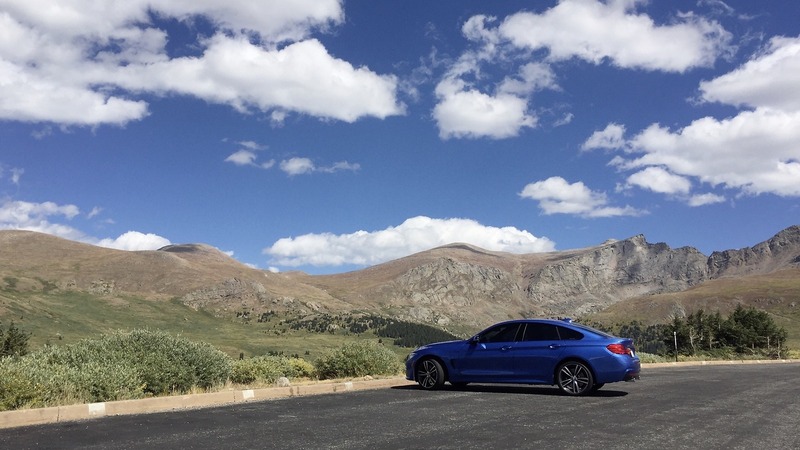 Had to obviously take it above 11000ft (courtesy of nearby Guanella Pass) to see what it'll do as the new high mountain ride.. Still on cloud nine. (Tho' winter wheels/tires are definitely in my future). Put studs on it if you're going to be swapping wheels back and forth- makes it so much easier. And if you don't have a good place locally already to help with the new car, SCR Performance in Loveland is my buddy's shop. They do a LOT of newer BMW street and very proper race cars. 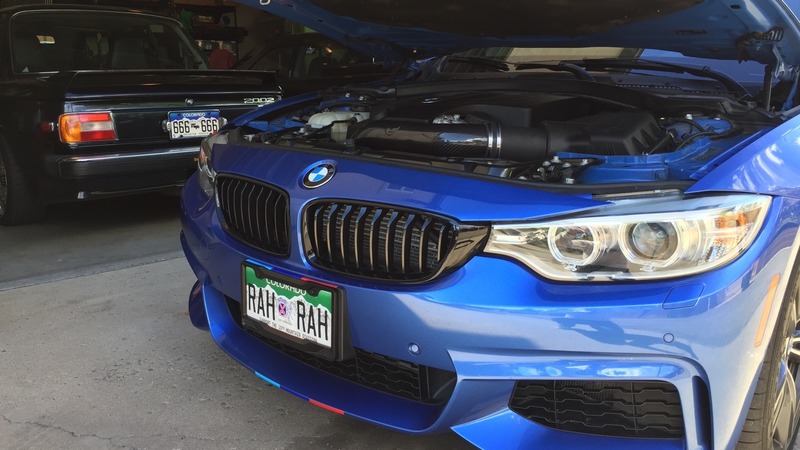 His M2 is a little, maybe a lot, over the top. Ed - that cracked me up, tho I wish I got in as early as Forrest did. Still can’t complain in any way (800x). Invested in some fruit company July of 1998...then as luck would have it it grew up, now I have a lot of expensive fruit. Here I am in some 45 year old car because I can't afford a new one, LOL. Winter tires, I like Michelin Ice X on my 2010 X3. Andrew - that must the expensive fruit that aren't named Athena, Rodney or Herman? 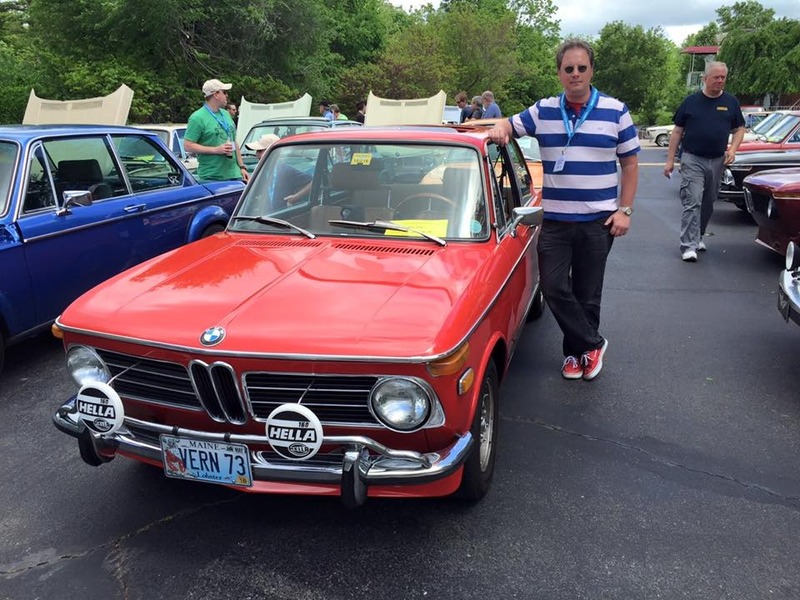 My own 42 year old car (that I've had 20yrs) is the only Bimmer I thought I'd ever own/afford. I'm lucky that one of my long ago side-bets paid off, to make it two, just when I needed another vehicle. I'd like Michelins (my Rover always had Michelins), but didn't think they were available in 225/45-18. I'll check some other sources. With the X-Drive on this car, I read it's key to get high-load service 'BMW Star' label tires - and these Pirelli snows are one of the few in the size I need that have that. I've got Blizzaks for the wagon- have had several sets on different cars. The ones I have now have the extra load rating as well. 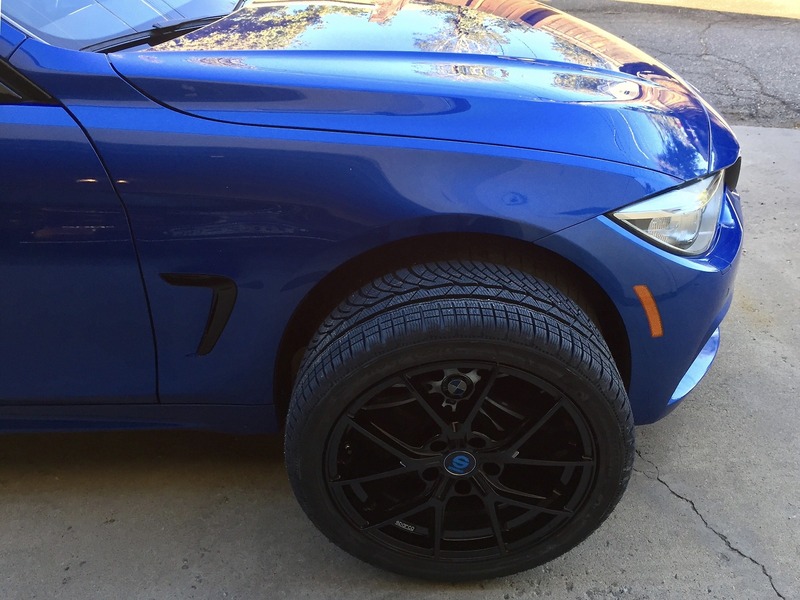 But those are on 17's because they clear the M3 brakes- more sidewall. Any reason why folks don't like Pirelli? The Pirelli Sottozero 3s (third-gen) did real well in the latest Tire Rack Performance Snow Tires tests/reviews. Miclhelin X-Ice isn't run-flat, and I can't find Alpins anywhere. Blizzaks aren't avail run-flat either. Finding latest-design Nokians in the right size/style looks challenging. My current set-up is staggered (225/40-19, 255/35-19), but I was thinking for winter to go unstaggered in an 18", but still run-flat. I was stationed in Fairbanks when I first tried real snow tires- which were the Blizzaks- which is why I still use them. I doubt they're any better than anything else. None of ours are run-flats. 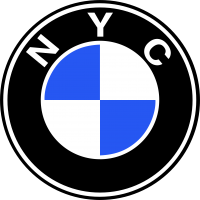 FWIW follow-up: I located the Michelin Pilot Alpins that I was looking for in 100V load rating, and they're also MO and BMW starred. Like for both vanity plates. hehe, Looks like the proper car gets the garage.